Joan Cameron (nee Wilson) Evans was the wife of Evelyn William Barnabus (Barney) Evans who also served in World War 11. Joan and Barney raised four children - Rosalind, Rupert, Joene and Elizabeth. 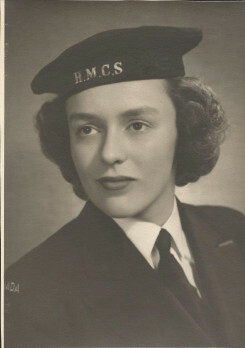 Joan passed away on January 22, 2015 and is buried with her husband in Maitland Cemetery, Goderich, Ontario.